Master... The "gentle giant" to everybody. 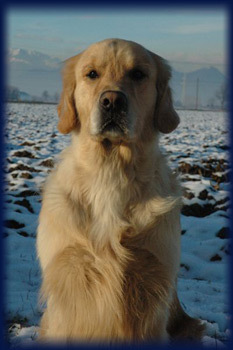 An enthusiastic forever-puppy-like dog, he gets noticed in the ring with his solid rock body and easy movement, mixed up with his pleasant temperament. 1° EXC. CAC CACIB open cl. ....3 years. 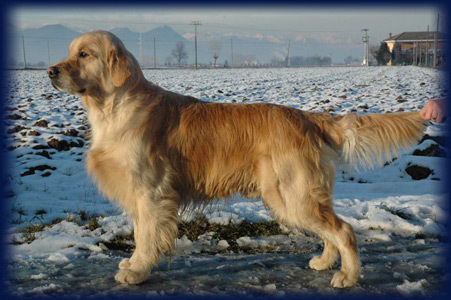 Typical solid-rock, short Golden di forte. Good and well proportioned head. Correct dentition. Good neck. Good chest. Good body, croup and angulations. 1°EXC. 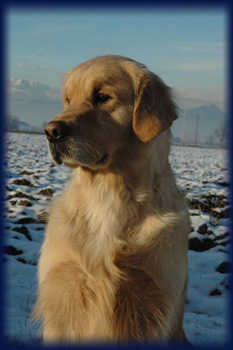 CAC CACIB BOB RBOG open cl.